I realized I packed for my work trip a little haphazardly on Saturday, so I had to be a little creative with the pieces I brought. This shirt (similar style here) is in constant rotation in my closet – it’s super long, so it works really well with leggings in fall and tucked into skirts in spring. The only problem is, I didn’t bring either one on this trip! I did, however, bring this Rebecca Taylor dress. By itself it’s not the most appropriate for work functions, but layered over the shirt it makes a totally cute ensemble, don’t you agree? 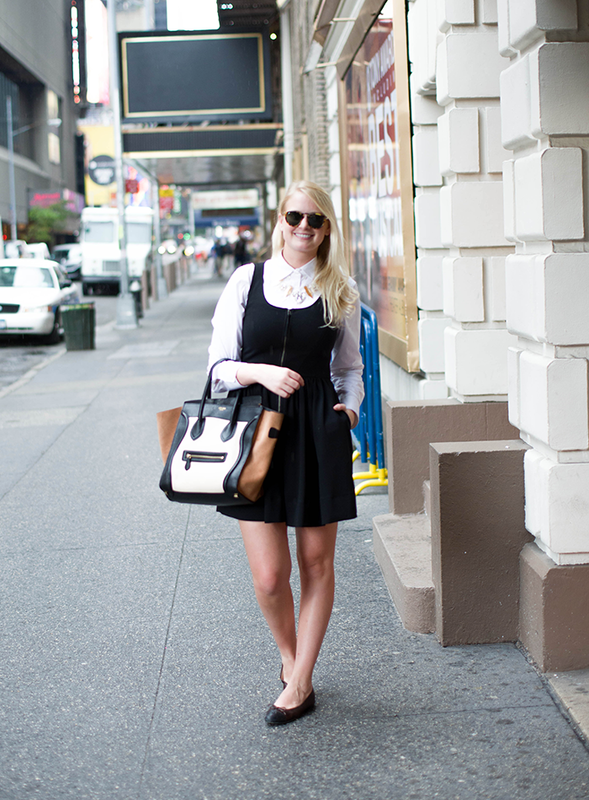 I love layering a dainty black dress with a blouse underneath! I think it just completes the outfit! 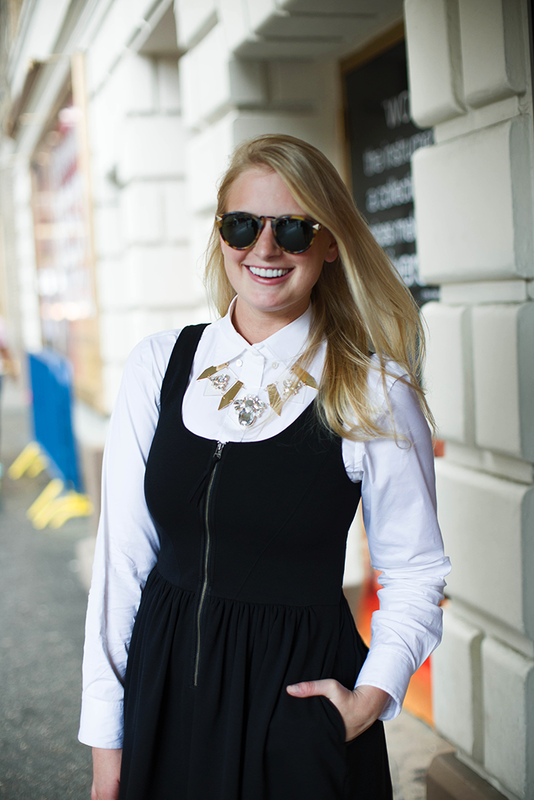 Also, I have been seeing that bauble bar necklace all across the blogosphere and I am OBSESSED with it! 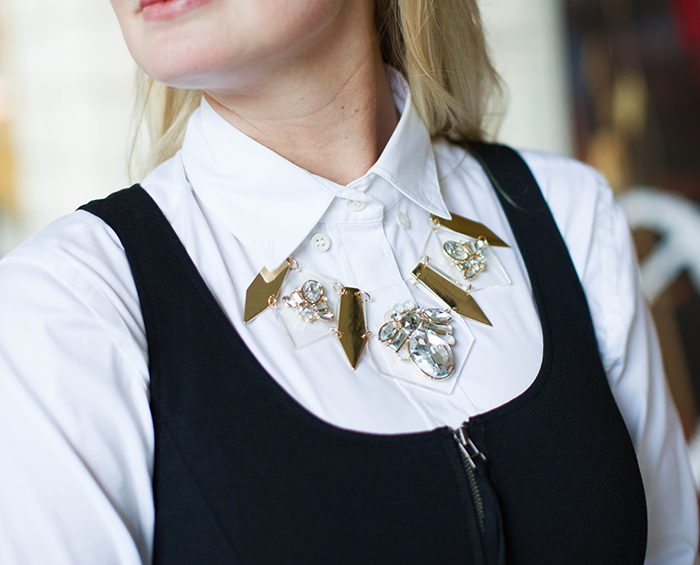 Its the perfect statement piece! gorgeous!! See you later today! Cute outfit Merritt! Love the necklace. Totally in love with your look! 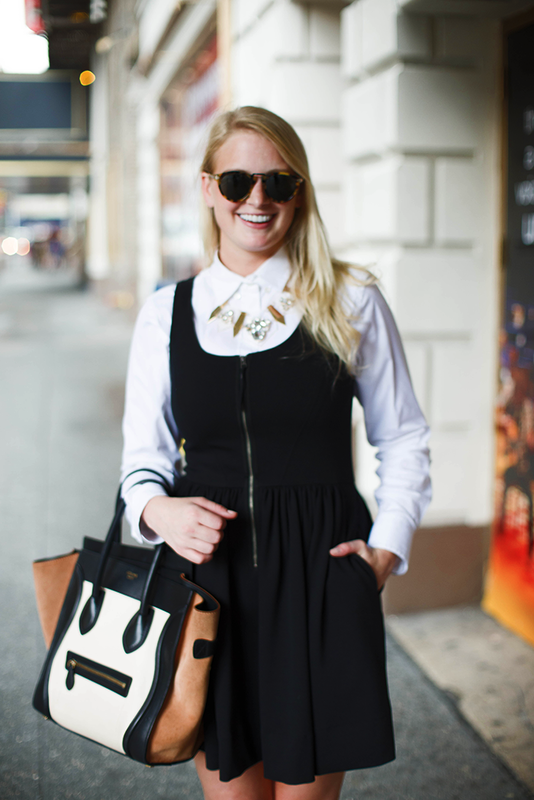 And that bag…swoon!! Love the necklace! Rhinestones and spikes couldn’t be more perfect together!